‘I am taking my colours and my brushes and I shall re-immerse myself far from all men’ (letter XLVIII, P. Gauguin, Lettres de Gauguin à sa femme et à ses amis, M. Malingue (ed. ), Paris, 1946, p. 101). One of the most influential artists of the 19th century, Paul Gauguin would come to revolutionise both painting and the cult of the artist. His quest for a pure, savage universe, untrammelled by the taint of modernity, civilisation and industrialisation, would lead him to travel to Brittany, before heading for the more distant shores of Tahiti and the Marquesas. He managed to fuse the folk and mediaeval traditions of his native France in some works, gradually also including tribal traditions and the bold colourism that had come from his Synthetism. Artists such as the Nabis, Henri Matisse, Pablo Picasso and many of the German Expressionists all took part of their inspiration from Gauguin. Indeed, the very notion of ‘Expressionism’, with its heightened palette and often-simplified forms, was largely derived from Gauguin’s example. The profound influence that Gauguin had was all the more impressive as he was a convert to art, having begun his career as a stockbroker and an amateur painter. He was the son of a French journalist and his wife, herself the daughter of a prominent Peruvian socialist from a good family. He was thus brought up in luxury in Peru and comfort in France, yet his experiences in South America would cast a long shadow upon his life, shaping his character, and indeed his persona. Gauguin initially came into contact with the Impressionists as a patron and a collector. He became friends with several of the artists associated with the movement. Crucially, Gauguin befriended Camille Pissarro, who became a mentor. 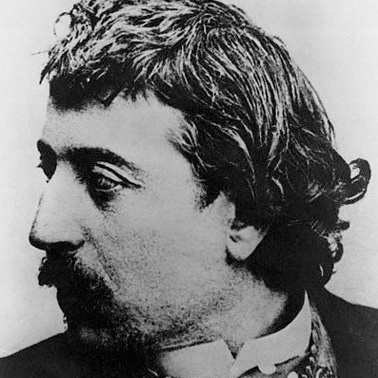 Gauguin painted in an Impressionist style at this time; however, when the markets crashed in 1882 and he found himself unemployed, he determined to become a full-time artist, a decision that ultimately left to a rift between him and his Danish wife, Mette. It was in part his straitened financial circumstances that led him to Brittany, where he soon founded the School of Pont-Aven. Gradually, his works achieved an increasing boldness as he explored Synthetism. His increasingly wild style, encapsulated in pictures such as his Vision after the Sermon and Yellow Christ, brought him more and more attention. It was during this period that one of his students painted a landscape under Gauguin’s instructions: Paul Sérusier returned with the fruits of that exercise to his friends in Paris, and that picture became a touchstone for them all as they developed as the Nabis. Sérusier’s picture became of relic-like importance and was nick-named the Talisman. Gauguin’s bold vision saw him allied with Vincent van Gogh, and moved to Arles to set up a ‘School of the South’. Sadly, this disastrous collaboration became the stuff of legend: it was during Gauguin’s stay that Van Gogh cut off part of his own ear and was detained by the authorities because of his mental instability. 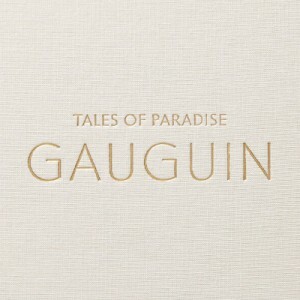 Gauguin carried on in France for a few more years, but soon managed to head to Tahiti on his first voyage. 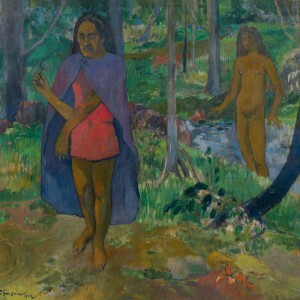 This marked a new departure for Gauguin, who was struck by his experiences there. The life, culture and colours all infused his works, be it his paintings, his sculptures or his prints. After another stint in France, he would again return to the Pacific for good, living in Tahiti and then the Marquesas, working in increasing isolation from Western influences. During this time, his works moved even further away from the Impressionism and post-Cézanne still life compositions of his early days. Now, he was working with an often incandescent palette to create visions of a startling intensity, tapping into what he considered the ‘savage’ atmosphere and beliefs of his surroundings.